A gallery dedicated to young emerging artists on the national and international scene of contemporary art. 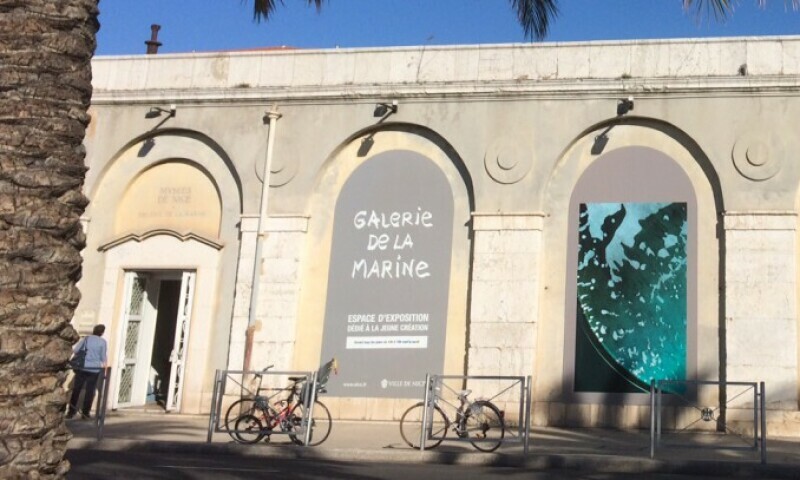 The Galerie de la Marine and Villa Arson, partners for the promotion of young artists graduated from the Ecole Nationale Superieure d'Art in Nice (Higher National Diploma in Plastic Expression - DNSEP / Master) are two "historic" places that support the most contemporary creation. Space reserved for fishermen and the sale of fish in the nineteenth century, the architecture of stone columns, the Marine Gallery was built in 1835, facing the sea, between Cours Saleya and the shore. It takes its current face in 1976 becoming the first attempt to introduce contemporary art in the Museums of Nice. Welcoming young artists, presenting the young local, national and international arts scene and promoting creation have always been at the heart of the concerns of this historic space.